Flame Quality shows how strong a users Flame is. The higher the flame quality, the stronger the box weapons get. 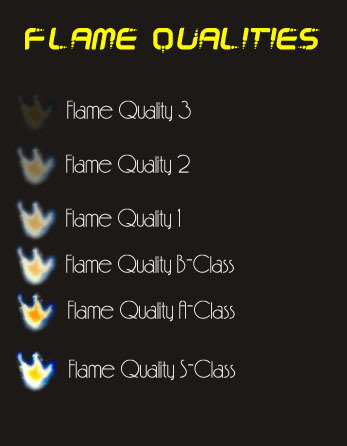 Everyone starts off with the Quality 3 Flame, the lowest quality of flames. The other flame qualities are listed below.